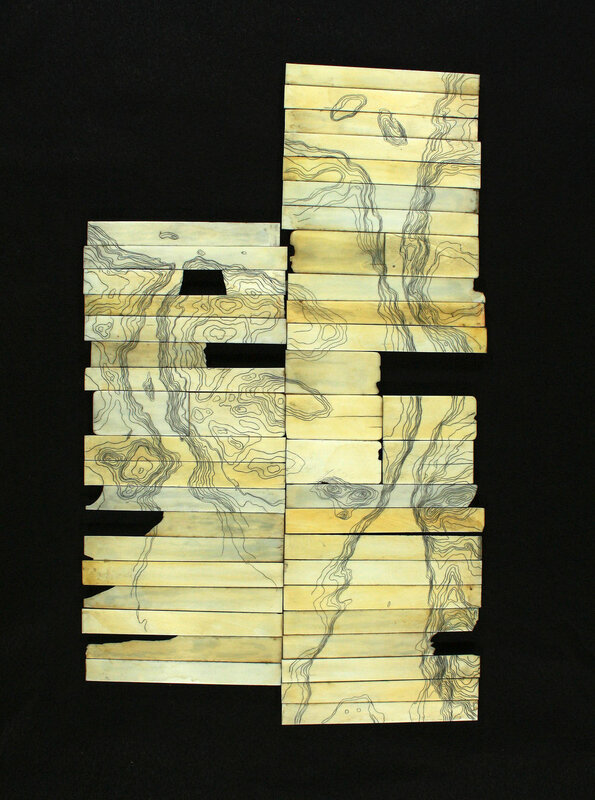 All works are scrimshaw on discarded piano key ivory. 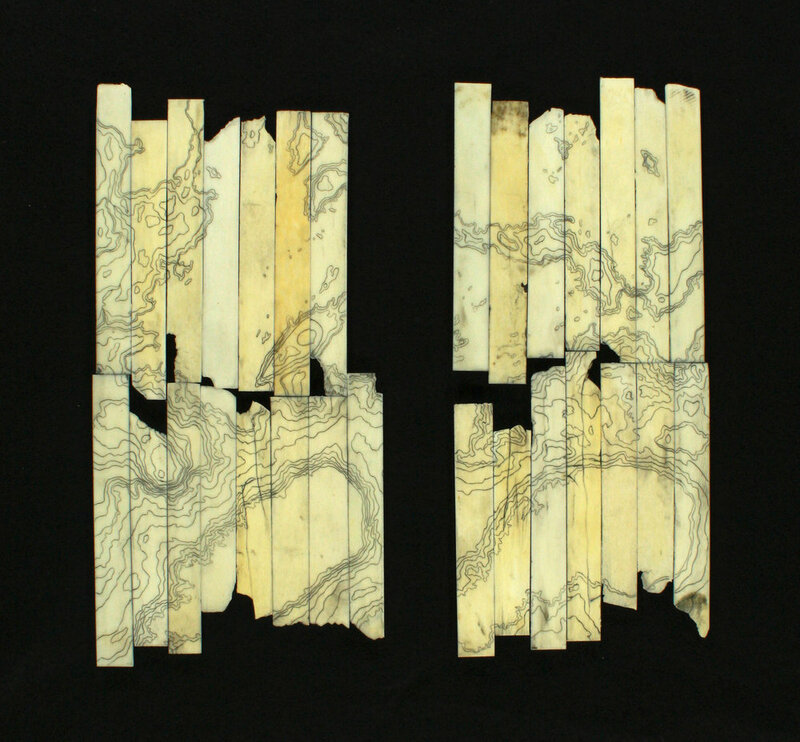 The Memoria Animus series are a body of drawings in scrimshaw, a folk method of drawing on whale bone and teeth, walrus tusk, and elephant ivory that began on whaling ships about 1750 and continued until about 1900. 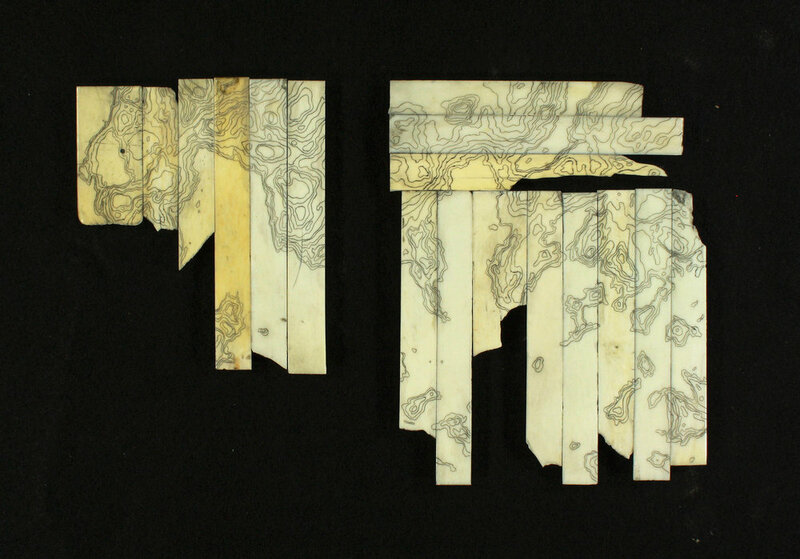 The series are drawn on discarded piano key elephant ivory, which still bear the marks of age and wear from their previous use. 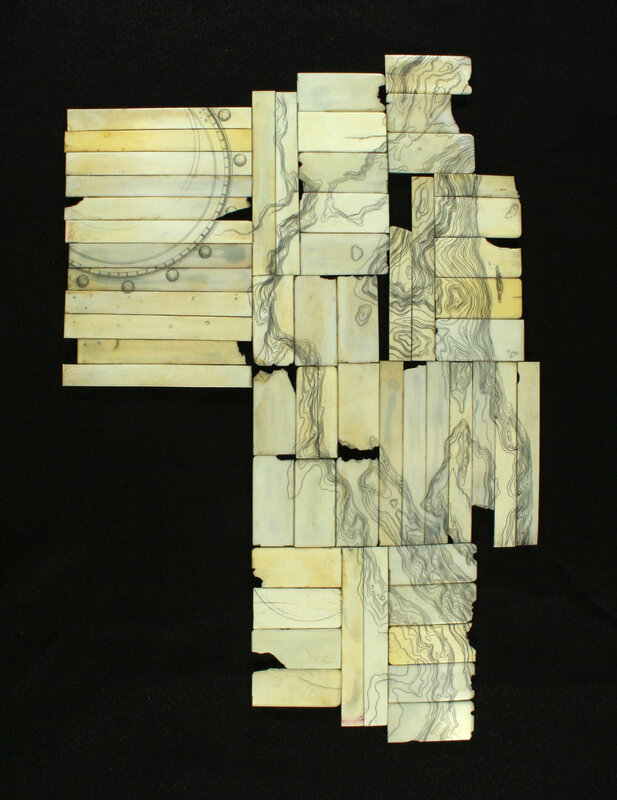 Given the age of the ivory used in the works, some would likely have made the transatlantic trip during the scrimshaw era, perhaps even traveling on those same ships. 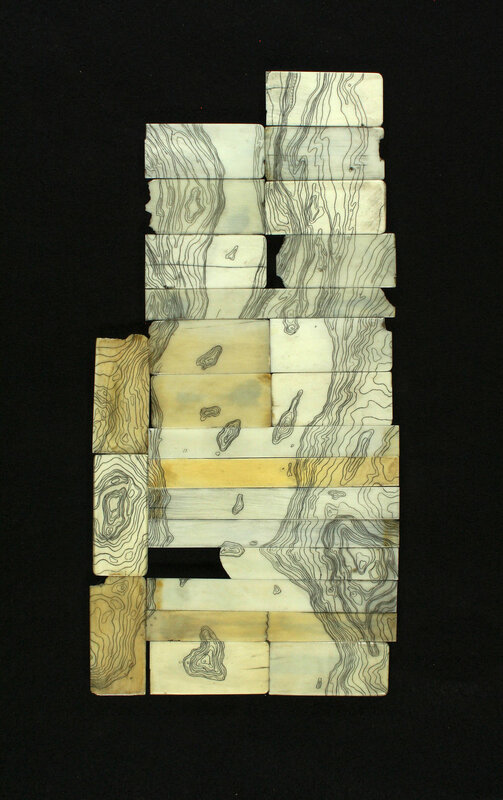 The works are based on locations visited during trips to Northern Minnesota, Ontario, and Manitoba and drawn entirely from memory- without the aid of maps or satellite imagery, as well as can be recalled. The series began in 2009 and has continued to the present. 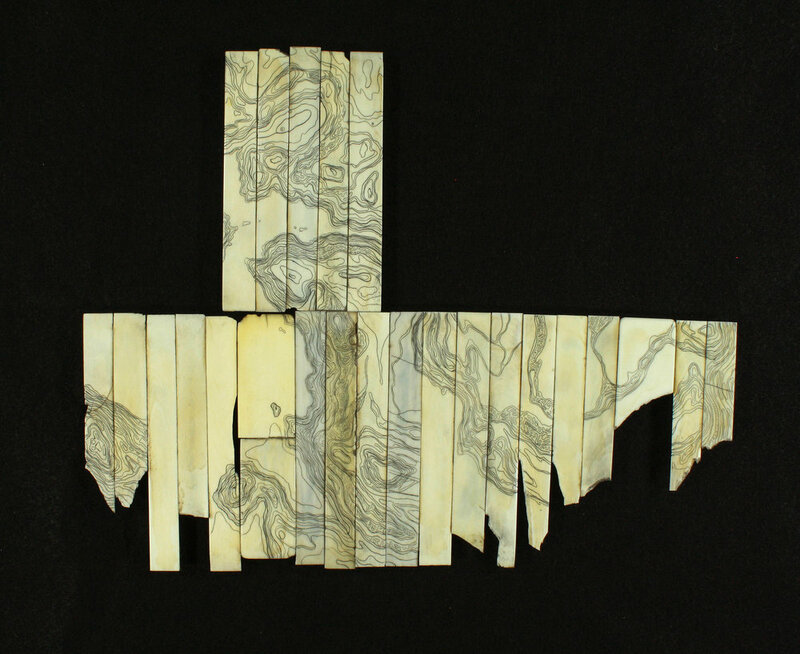 Individual works in the series are periodically taken apart, reconfigured and redrawn. While some of the works in the series have remained static and unchanging, others have been reworked several times.